Compatible with all Direct Thermal and Thermal Transfer printers. Electronic Speed Control will automatically synchronise winding speed to the speed of your printer. 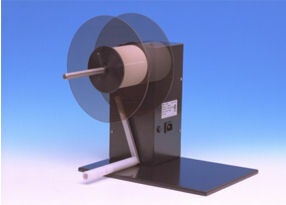 Provides passive winding without skewing print or barcodes on your labels. Wind labels face in or face out.